“Run, run as fast as you can! You can’t catch me, I’m the Gingerbread Man!” That’s the famous refrain from the classic fairy tale about the Gingerbread Man, beloved by kids all over the world. For 21st century kids, however, there’s a gingerbread tale that’s way more entertaining: theGinger RuniPhone game, developed by Oleg Kapitonov. 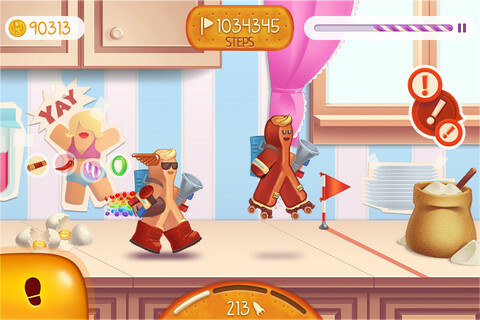 If you’re into running games, this cookie-tastic game is sure to get your mouth watering. Tapping alternately with your thumbs on the left and right corners of the screen moves you forward, while tapping up near the top-middle of the screen lets you jump over obstacles. There’s an art to obtaining your maximum speed in Ginger Run: to get a higher speed, what you want to do is try and step right when you are hitting the ground. There’s plenty of cute music to enhance your gameplay experience. 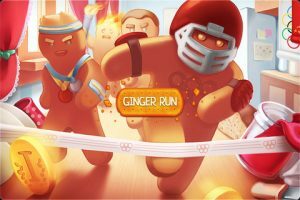 In addition, Ginger Run has tons of extras in terms of stuff you can add to your gingerbread guy to help boost his performance. A cool part of the gameplay is the global leaderboard. It’s not your typical leaderboard: Ginger Run makes you sign up with your name and home country, and then adds your in-game earnings to your nation’s total. 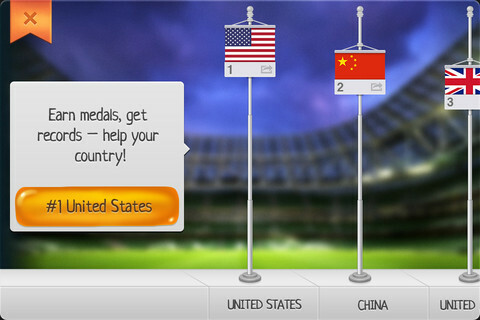 It’s like the lazy man’s Olympics…if the Olympics had cookies! But if that’s not your, you can limit yourself to personal competitions only. 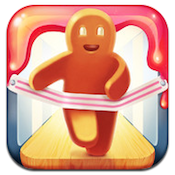 With controls that are super easy to learn and very responsive, Ginger Run on iPhone is tons of fun for adults and kids alike. This family-friendly game title is augmented with in-app purchases like coins and gold chests to help you progress through Ginger Run more quickly when you’re feeling impatient. 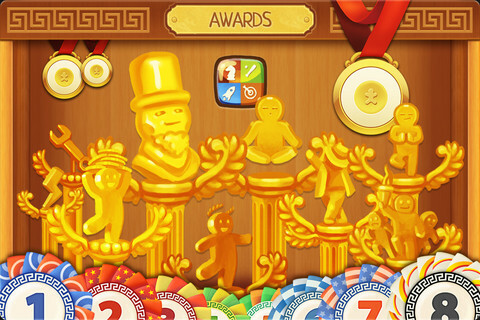 Ginger Runis compatible with iPhone 3GS, iPhone 4, iPhone 4S, iPod touch (3rd generation), iPod touch (4th generation) and iPad. Requires iOS 4.3 or later.A small expedite fee was paid by the developer to speed up the publication of this iPhone game review.